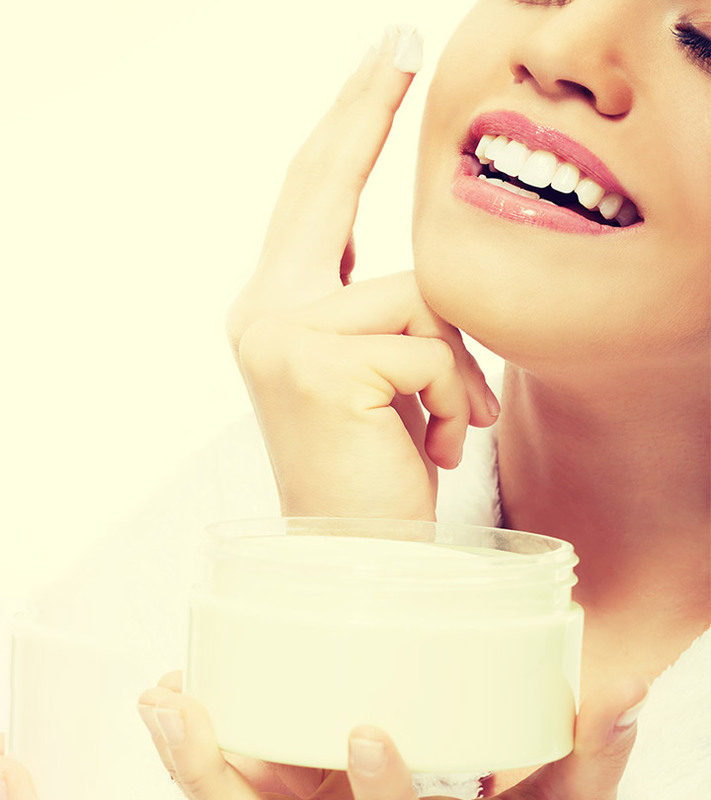 Alpha hydroxy acids (AHAs) should be your skin care staple. 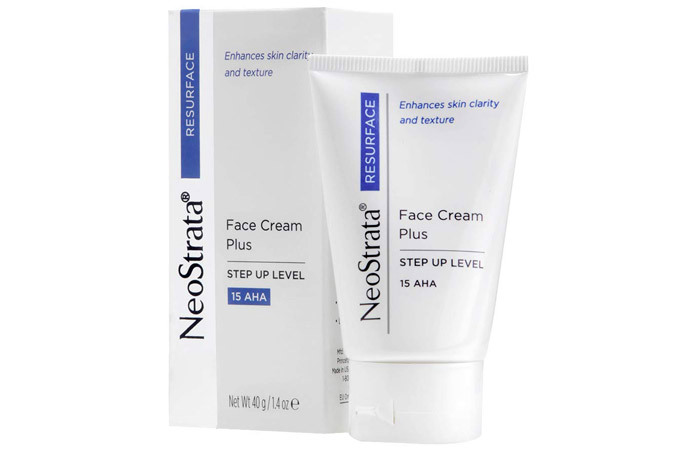 From clogged pores to recurring acne – they can handle all skin issues with ease. And that’s the reason they are now found in most skin care products. If you are doubtful about using AHA products, this article will put your doubts to rest. Scroll down to find out all about AHAs and what makes them an indispensable part of your skin care regimen. 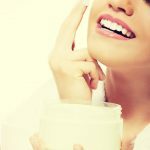 What Are Alpha Hydroxy Acids (AHAs)? 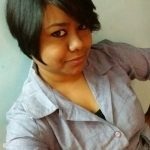 What Is The Difference Between AHAs And BHAs? Alpha Hydroxy Acids or AHAs are a group of naturally occurring chemical compounds. AHAs are derived from animal or plant products (such as fruits and milk). They are commonly used in anti-aging skin care products as these acids help in reducing signs of aging (such as wrinkles, dark spots, and fine lines) and improve the skin texture and elasticity (1). Out of all these AHAs, only a few, such as glycolic and lactic acids, are widely used in skin care products. And that’s why these two AHAs are extensively studied by researchers for their various effects and benefits. Usually, AHAs (glycolic and lactic acids) are gentle on the skin and do not cause any irritation. These acids act as chemical exfoliants. They dissolve the intercellular bonds (the bonds between your skin cells) and facilitate the natural shedding process of your skin, helping you get rid of the dead skin cells easily, revealing softer, smoother, and brighter skin. Let’s take a look at the benefits of AHAs for your skin. The shedding and regeneration of cells is a continuous cycle. However, when you age, this process slows down. As a result, dead skin cells accumulate on your skin. This makes your skin dark and dull and also cause age spots. AHAs help your skin in its natural process of shedding dead skin cells (2). When your skin sheds the dead cells, it reveals a fresh layer of cells beneath. This new layer is brighter and radiant. Your skin automatically appears fresh, plump, and more elastic. Collagen is the fiber that keeps your skin looking young and smooth. 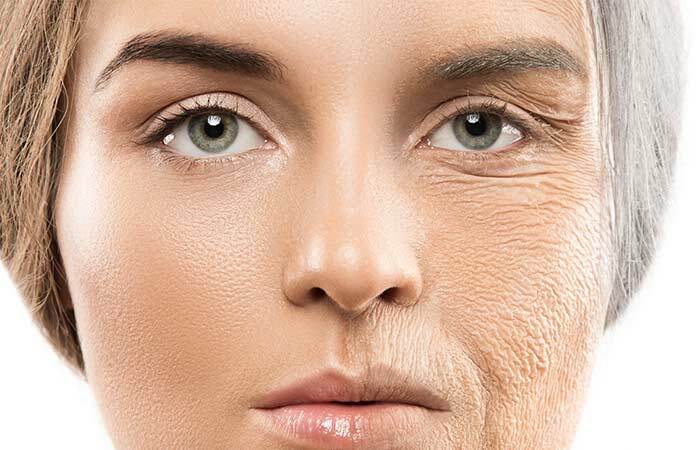 As you age, the collagen production in your skin decreases. Also, photodamage caused by excessive sun exposure and environmental damage further affects collagen synthesis. AHAs help in collagen regeneration by eliminating the old collagen fibers (1). AHAs work on wrinkles and fine lines and reduce their appearance. A study involving 52 volunteers between the ages of 30 and 55 years were given topical products containing AHAs. They were studied for 21 days, and significant improvement in their skin texture was noted at the end of the study (1). 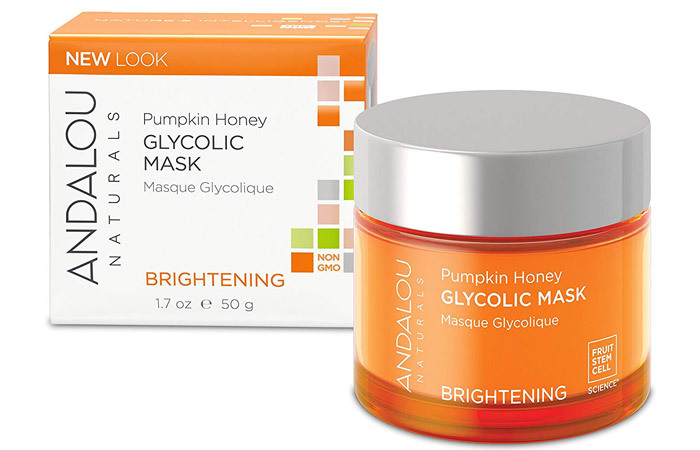 AHAs such as glycolic acid and lactic acid help in reducing hyperpigmentation, dark spots, and melasma. Both these acids are commonly used in chemical peels and other dermatological procedures for treating dark spots. Glycolic acid is usually used to treat freckles and hyperpigmentation because it can penetrate the skin easily (3). Lactic acid is used to treat melasma and has shown good results (4). AHAs also help treat mild to moderate levels of acne. 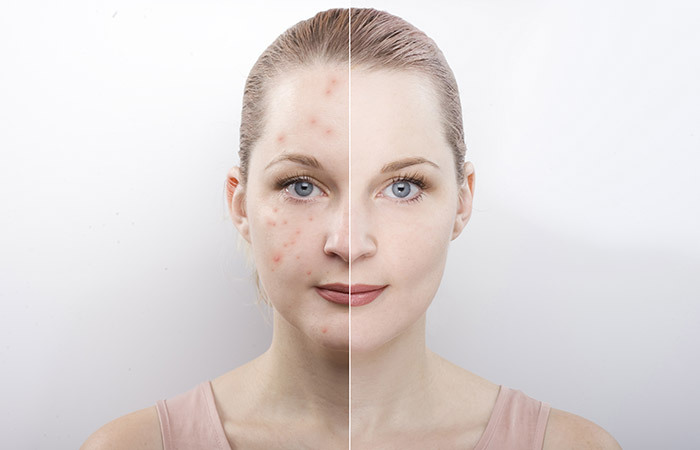 Clogged skin pores cause acne, and AHAs can help remove the clogs. They also prevent any further clogging. A study on 248 patients with mild to moderate acne showed the high efficacy of AHAs in providing relief from acne (5). AHAs can penetrate your skin and break the layer of dead skin cells. This layer of dead cells prevents topical skin creams from being absorbed within the deep layers of your skin. Once the layer is cleared, your skin’s absorption levels increase. Exposure to the sun can cause substantial damage to your skin – like dark spots, tanning, wrinkles, and hyperpigmentation. Using AHAs can minimize the effects of sun exposure on your skin. The US Food and Drug Administration (FDA) had conducted thorough research on the usage of AHAs for skin care. AHAs are safe to be used on the skin as long as you follow the directions and use them appropriately. If you are wondering how much of AHAs is right for your skin, FDA has guidelines for that as well. It recommends using products in which the concentration of AHAs is less than 10% (6). This is to avoid any side effects. If not used properly, AHA can have severe side effects. Avoid applying AHAs on irritated skin or if you have wounds and cuts. Also, pregnant and lactating women should consult a doctor before using products containing AHAs. Apart from AHA, there is another type of hydroxy acid that is commonly found in skin care products – beta hydroxy acid or BHA. Both are quite similar, but there’s a subtle difference. Keep scrolling to find out. Both AHAs and BHAs do the same thing. They make your skin smooth, reduce signs of aging, and give you an even skin tone. However, unlike AHAs, BHAs are not derived from natural ingredients. They are mainly derived from salicylic acid. Unlike AHAs, which are water-soluble, BHAs are oil-soluble, and that’s why they are apt for people with normal to dry skin. Compared to AHAs, BHAs are less irritating to the skin and are best suited for those with sensitive skin and acne-prone skin. 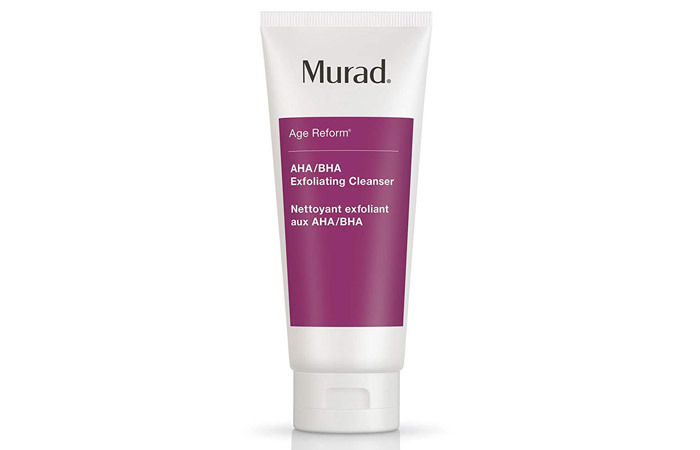 However, if you have multiple skin issues and also have age-related concerns, AHA products are best for you. Here are a few AHA products that you may try at home. This product contains both AHAs and PHAs in 25% concentration. It contains mandelic acid, glycolic acid, and other ingredients that help remove dead skin cells and make your skin smoother. This face mask evens out your skin tone. It contains vitamin C that brightens your complexion and reduces the levels of sun damage to your skin. This product contains organic, vegan ingredients and is gluten-free. This product contains 15% glycolic acid and is meant for those who have been using AHA products for a while. It is for people who want stronger and extra exfoliation. It claims to hydrate the skin and make it smooth. It is suitable for normal to dry skin. This cleanser claims to polish your skin, remove all the impurities, and reduce skin dullness. It improves the skin texture and softens it. This product is a blend of AHA and BHA, and it deeply cleanses your skin. It penetrates the skin layers to prevent blackheads and acne. Regular usage of this product prevents further breakouts. Who doesn’t love blemish-free and flawless skin? From creams and serums to face masks and face washes, AHAs are available in almost all forms. However, they are pretty strong (and effective) ingredients and should be used thoughtfully and carefully. Give your skin the best it deserves. Pick any of the products and start using them today. 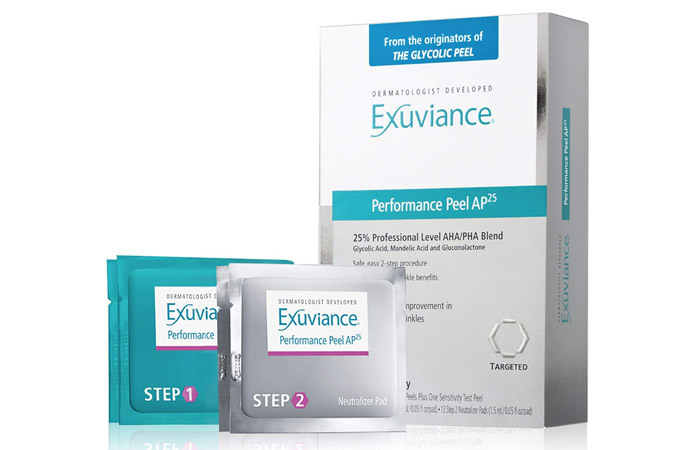 AHA And BHA Exfoliants: What Is The Difference? 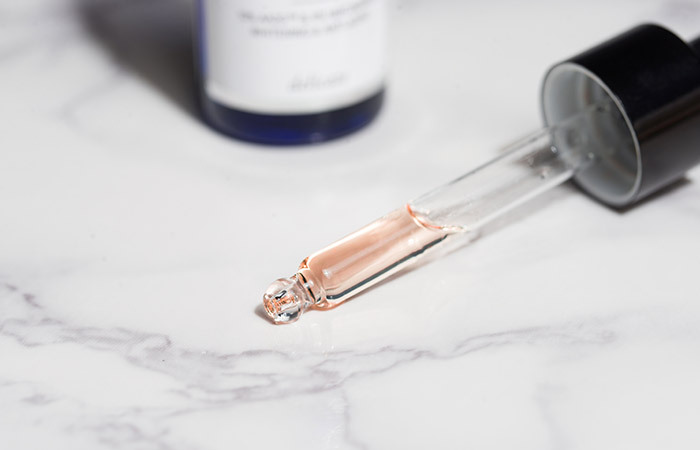 What Is Glycolic Acid And What Does It Do To Your Skin?